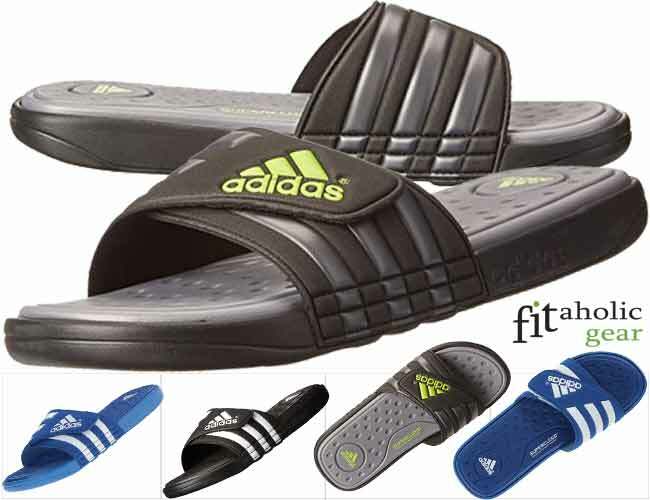 We picked these sandals from Adidas because they encompass all the features we were looking for when searching for the best shoes suitable for public showers, pool sides and other slippery public places. 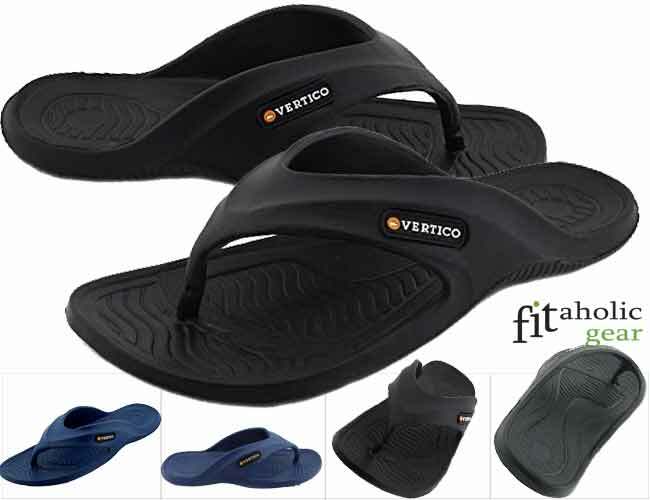 Comfortable, durable, water resistant and with great traction, we must admit these sandals are one of our favorites on this list. They do tend to run a size smaller though, so keep that in mind when purchasing a pair of these shower sandals. They are light, can be tightly packed, dry quickly and offer excellent traction, so they are an excellent choice especially if you travel a lot or train in a gym frequently. 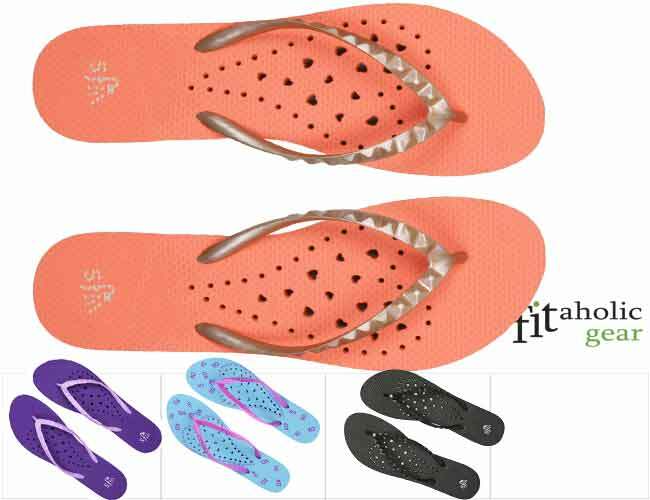 These shower flip flops are great for travelling, college and for your gym bag. They are light, dry quickly, keep your feet at a safe distance from the microbes in public showers and are affordable and durable. 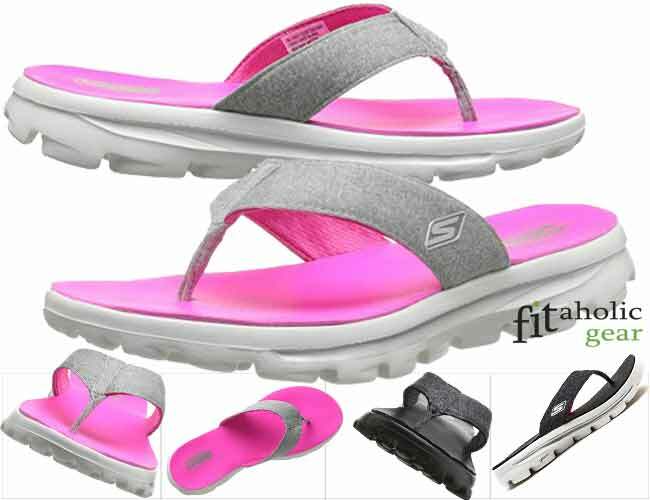 Overall, we love these flip flops from the Sketchers Go line. They are possibly one of the most comfortable pair of flip flops around. They have great cushioning, shock absorption, they are light and durable as well. 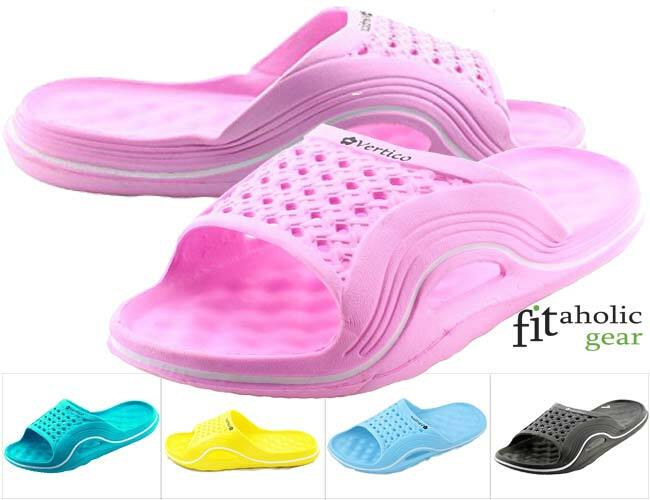 In conclusion, these unique flip flops are definitely among our top picks for affordable, comfortable, safe and water resistant shower shoes for women. So, if you want to stay safe from slipping or from getting your feet in contact with fungus, bacteria and other harmful microorganisms in you college dorm’s bathroom, the gym, in a hotel or anywhere else, these flip flops are just for you. They are also extremely comfortable and provide a cloud like cushioning feeling. Even if you are going to use your shower shoes only when you are in the shower or by the pool, you still want them to be comfortable enough, so as not to cause rubbing, sore feet, or make walking painful. Look for shoes with comfortable cushioning, and made of 1 injected piece. Water resistance and quick drying. You don’t want your shower shoe to contain water and possible develop mildew, fungus and other horrible microorganisms after all! Plus, with quick drying sandals or flip flops, you can immediately pack them back in your gym bag or travel bag. Reliable traction. Some of the most common accidents occur in the shower or wet bathroom. Make sure you are safe from slipping even if the surface is soapy and wet. Choose shoes offering reliable traction via rubber soles. Antimicrobial features. For added protection of your feet from nasty microbes and fungal infections, choose a pair which has an antimicrobial footbed or other similar properties. 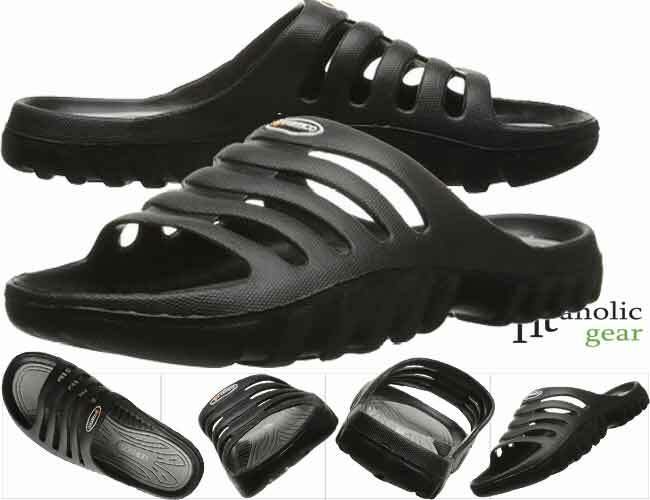 Naturally, you would want to choose a pair of shower shoes which will last more than 2 showers or trips to the pool.